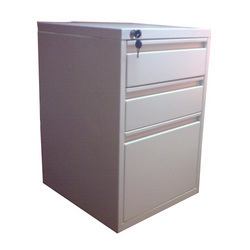 Our product range includes a wide range of steel storage system, steel drawer, steel locker and mobile pedestal. We offer a qualitative range of Steel Storage that are fabricated using finest quality stainless steel. Impeccably designed, our range is known for its superior finishing and provide safe storage of products. These steel storage are available in different sizes and designs to meet the diverse choices of clients. Further, we also test these steel storage on quality parameters in order to meet the international standards. With the support of our excellent production facility and imported machines, we are able to manufacture top notch quality Steel Drawer. The various sections of Steel Drawer are fabricated using quality raw material such as aluminum and are powder coated with standard colors. Our range can be customized as per the specifications of clients. 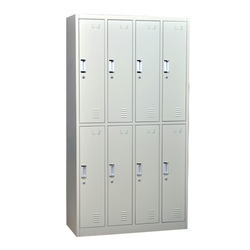 We offer a qualitative range of Steel Lockers that are fabricated using finest quality stainless steel. 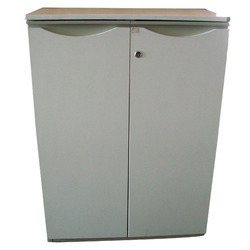 Impeccably designed, our range is known for its superior finishing and provide safe storage of products. These steel storage are available in different sizes and designs to meet the diverse choices of clients. Further, we also test these steel storage on quality parameters in order to meet the International Standards. 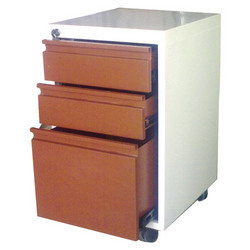 We offer Mobile Pedestal that is used to store various things in an effective manner.Fabricated using from premium grade material, these mobile pedestals are known for their high strength, corrosion resistance and durability. Our range is available in different specifications and can also be customized as per clients' requirements. Looking for Steel Furniture ?